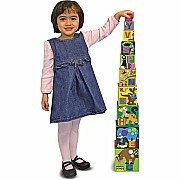 Ten cardboard blocks with a carrying case! 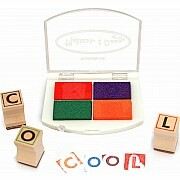 Write exciting messages with this beautifully organized wooden alphabet stamp set. 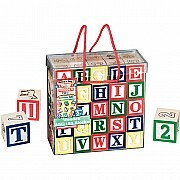 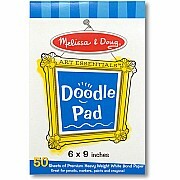 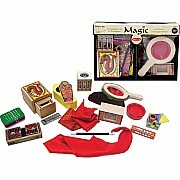 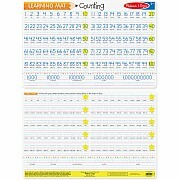 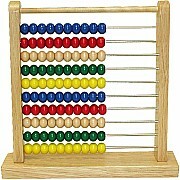 It includes 56 letters upper and lower case), punctuation marks and a 4-color stamp pad. 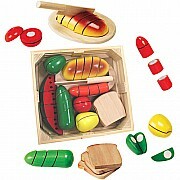 Keep it neat in the convenient wooden storage tray. 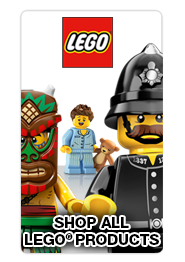 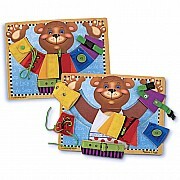 Master the basics with this adorable bear! 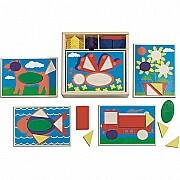 Five two-sided pattern boards feature cut-out spaces for secure shape placement. 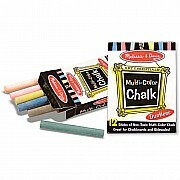 Twelve round, colorful sticks of dustless chalk. 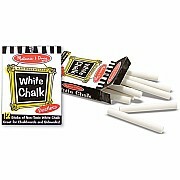 Twelve round, white sticks of dustless chalk. 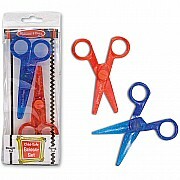 Two craft scissors that safely cut straight or zig-zag lines! 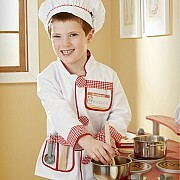 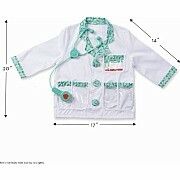 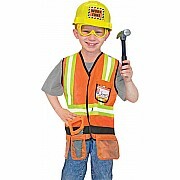 Construction Worker Role Playing Set includes visibility vest, tools, belt, hard hat and goggles from Melissa & Doug for ages 3-6 yrs. 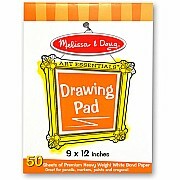 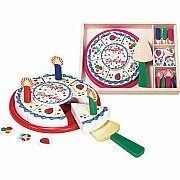 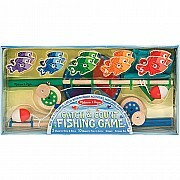 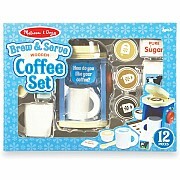 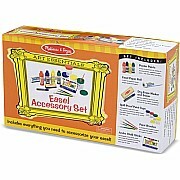 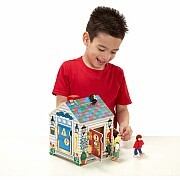 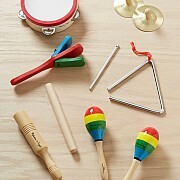 Started in 1988 in their garage, Melissa & Doug® has something for everyone, with nearly 800 unique and exciting products for children of all ages!